Click [Inquiry] of the product you want to purchase. Sale and purchase will be coordinated through the chat screen. Sale and purchase coordination with the seller will be conducted by GROWTH POWER on behalf of the buyer. Checking inventory, product condition, price, etc. will be conducted by GROWTH POWER. Purchase will be confirmed once we have an agreement on the quotation. After the purchase is confirmed, payment will be deposited into GROWTH POWER's account temporarily. 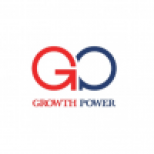 GROWTH POWER will pay the seller once we have confirmed shipment of the product. We will refund the payment in the event the product could not be shipped. Land transportation, clearance, etc., will be conducted by GROWTH POWER. Please feel free to ask for assistance on ship reservation and insurance coordination. We will inform the buyer of each status, such as, being cleared by customs. The product will be delivered to the buyer. Once the product is checked, the transaction is complete.